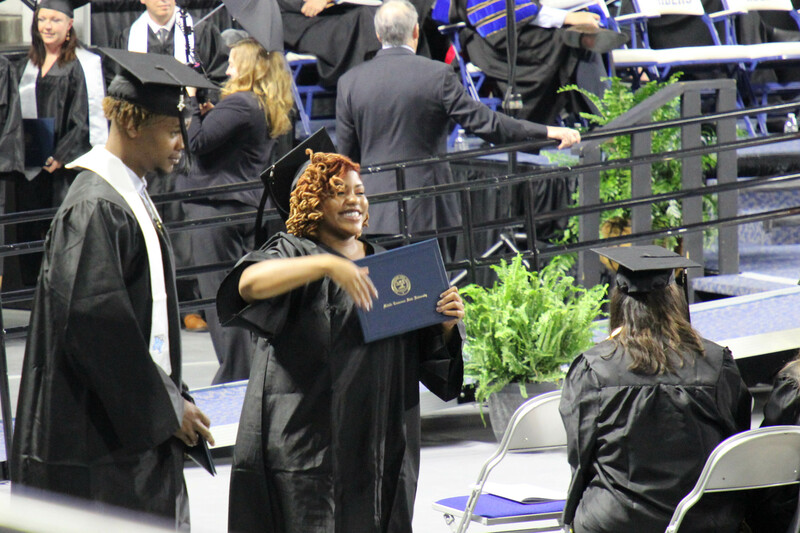 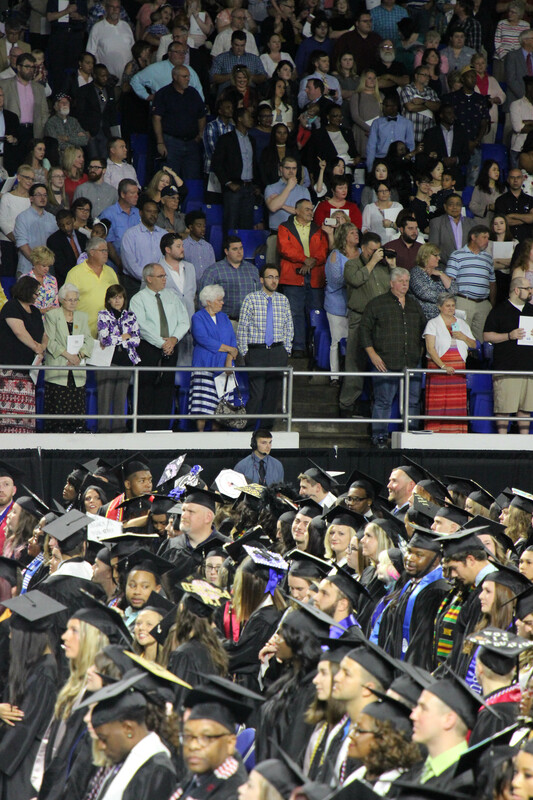 2,171 MTSU undergraduates received their diplomas Saturday in the Murphy Center after commencement ceremonies and speeches by guest speakers encouraging undergraduates to embrace the future, according to a university press release. 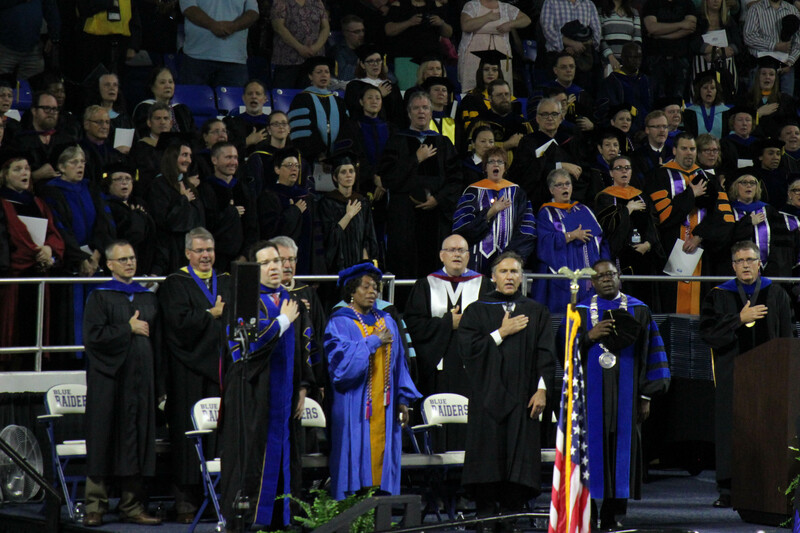 Williamson County Schools Superintendent Mike Looney delivered a speech on the importance of making the most out of life. 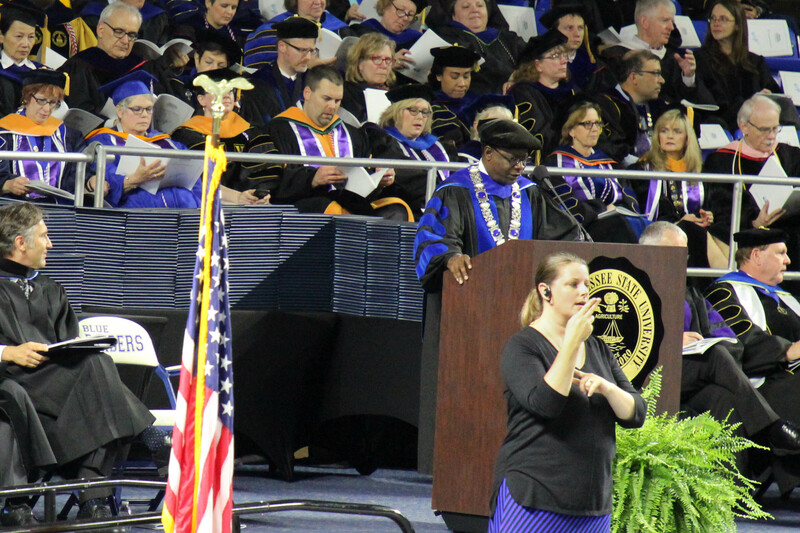 “Enjoy this moment… and whichever journey or path you’re taking, seize on the opportunity that’s been provided to you today,” Looney said. 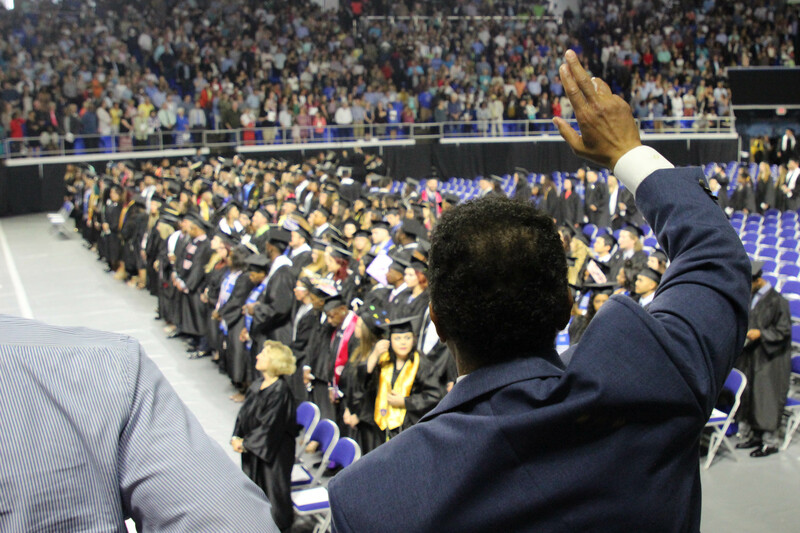 Randy Boyd, a former state commissioner of Tennessee Economic and Community Development and Special Adviser to Tennessee Governor Bill Haslam, said the expectation of greater things often leads to those realities. 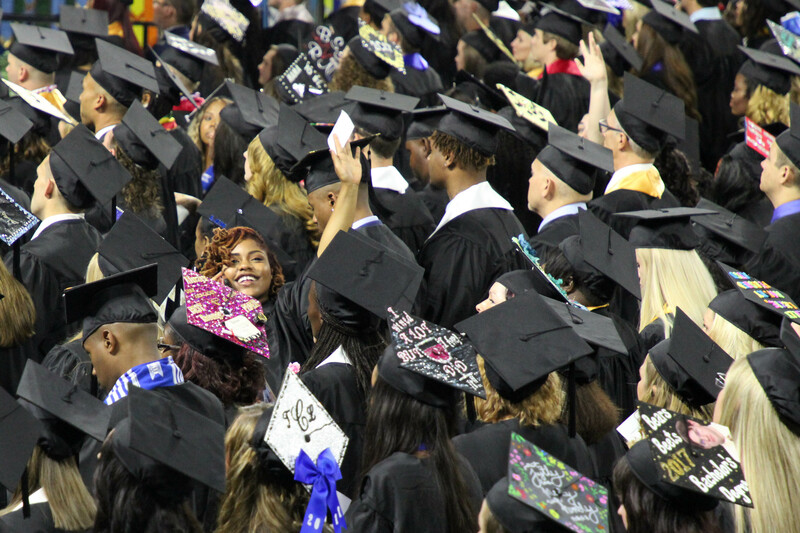 “Have your plans, have your objectives, but always look forward to something better happening than what you planned. 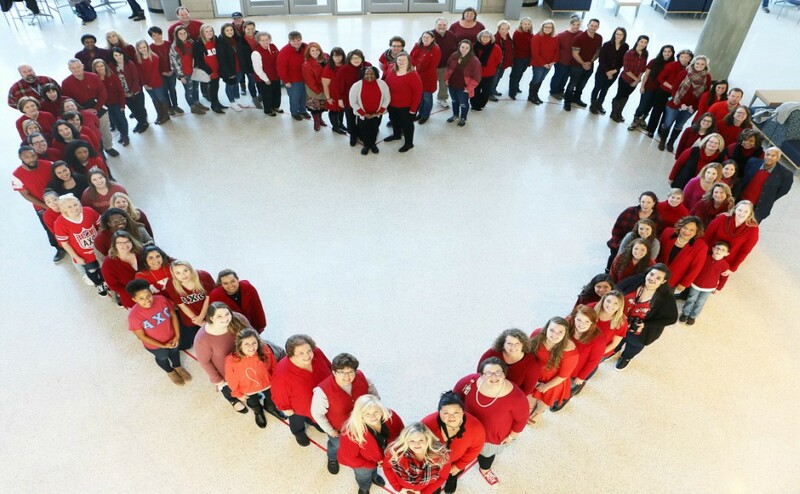 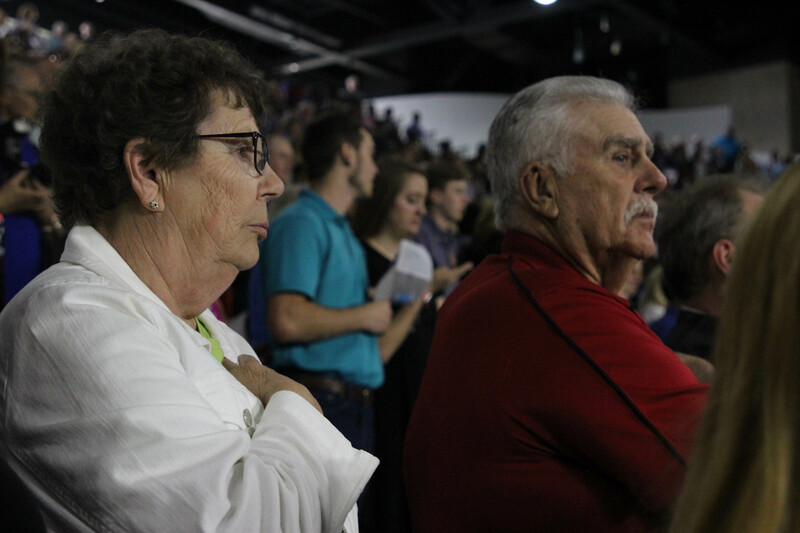 If you expect it, it typically happens,” Boyd said. 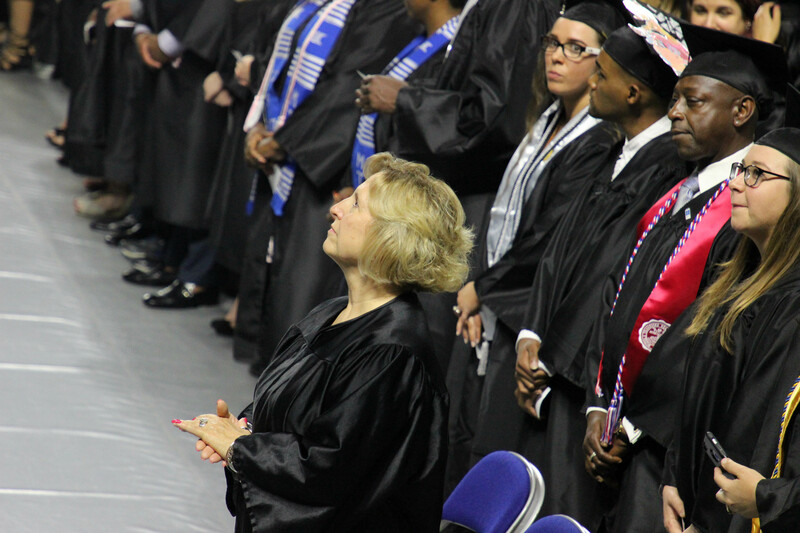 Students expressed joy for receiving their diplomas and having the opportunity to move on in life. 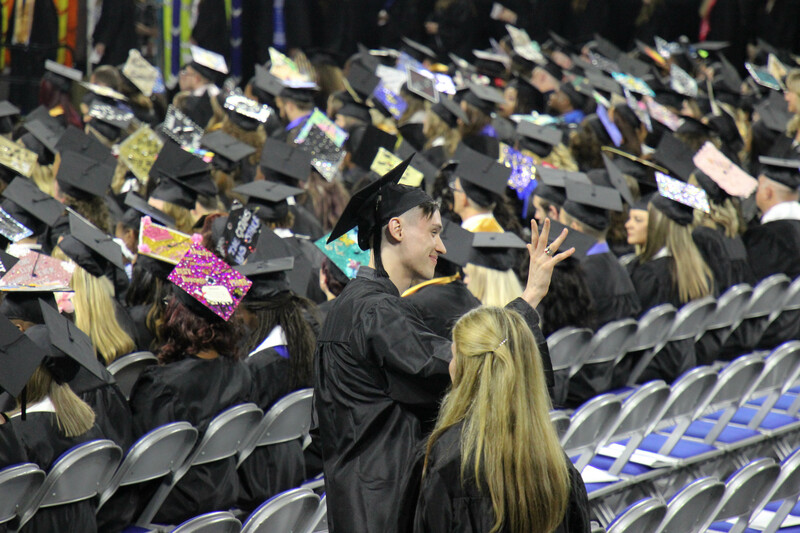 “I want to keep making myself proud and other people proud,” said economics major Tyler Holweg, 22, from Morristown, Tenn. 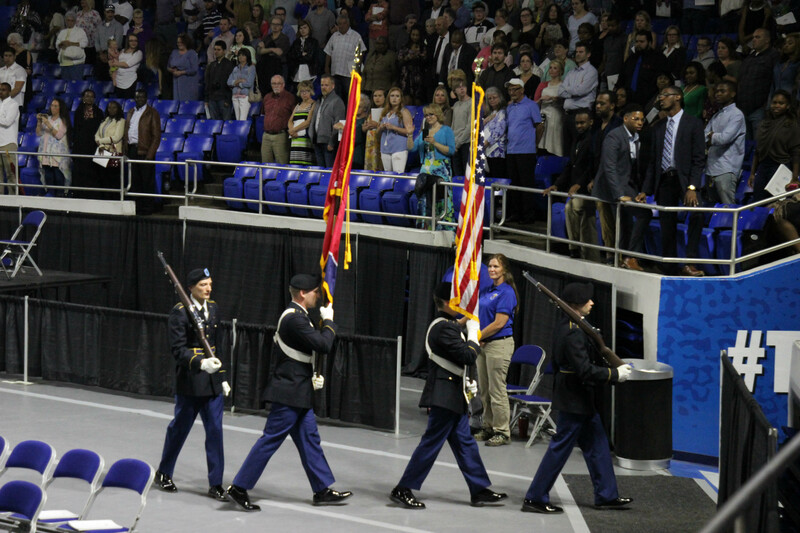 The same day, the Army ROTC program at MTSU commissioned Holweg as a second lieutenant. 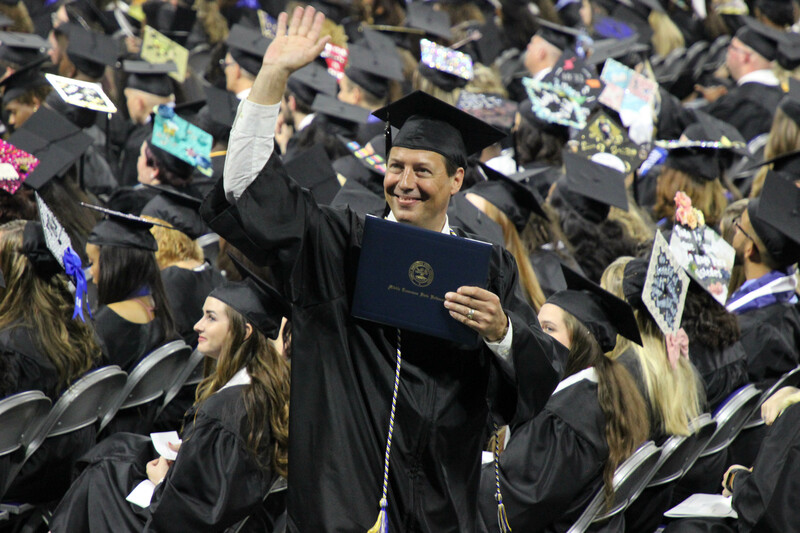 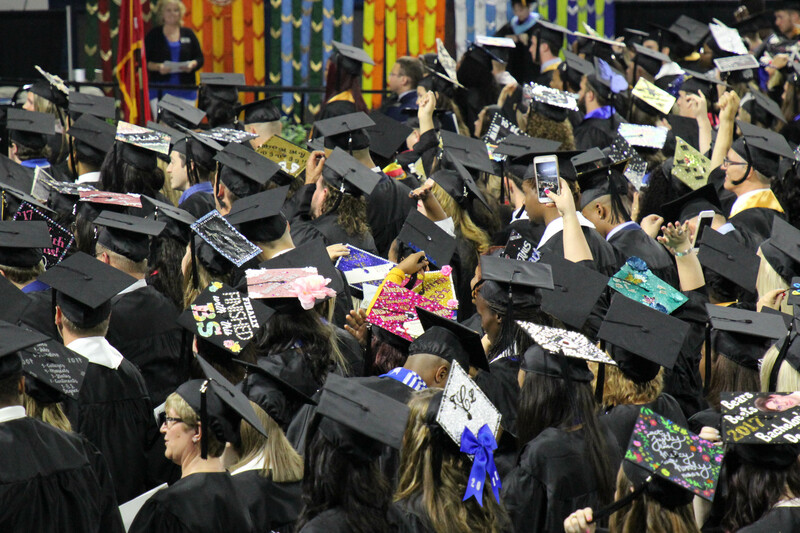 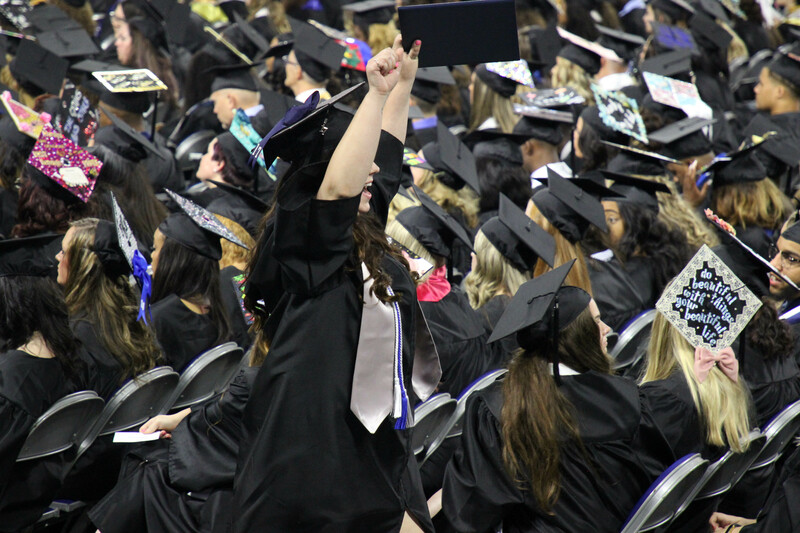 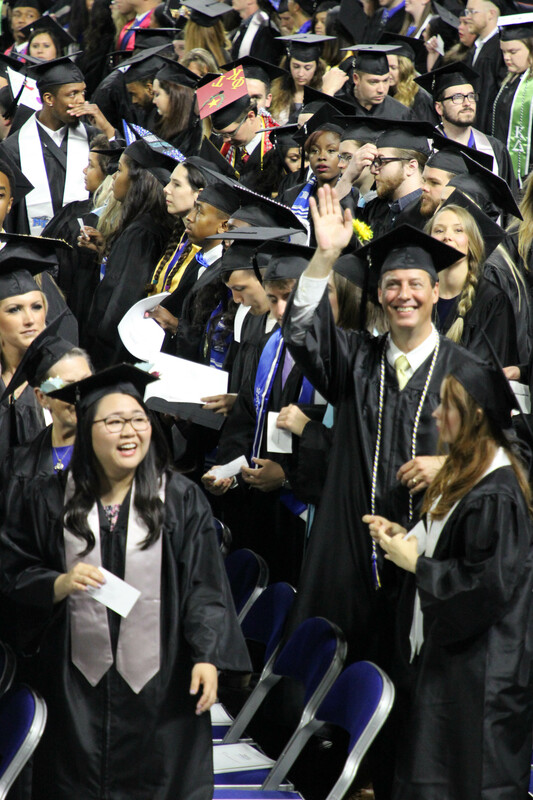 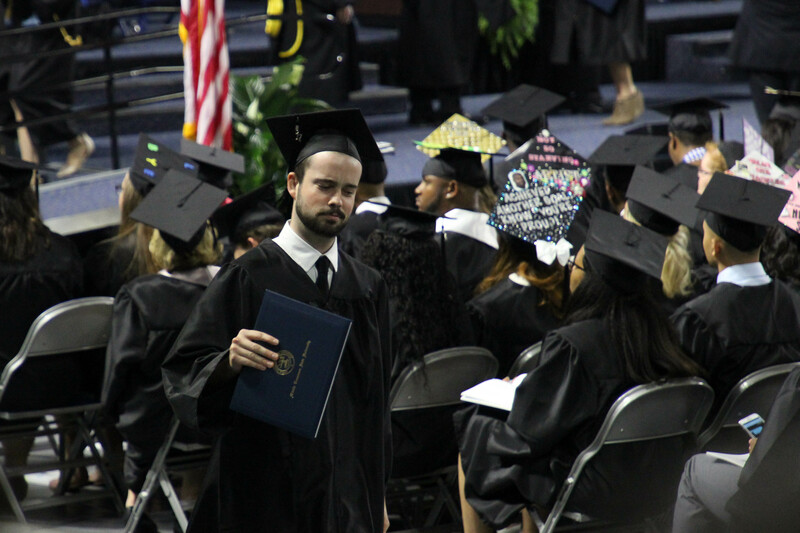 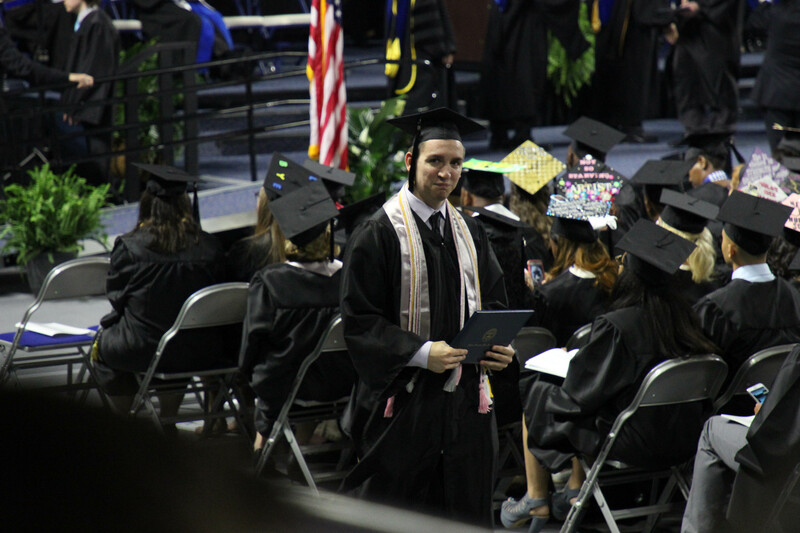 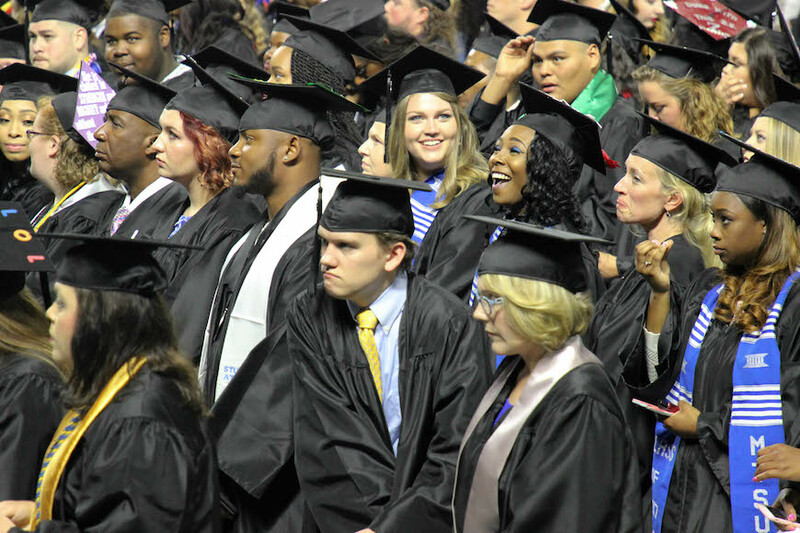 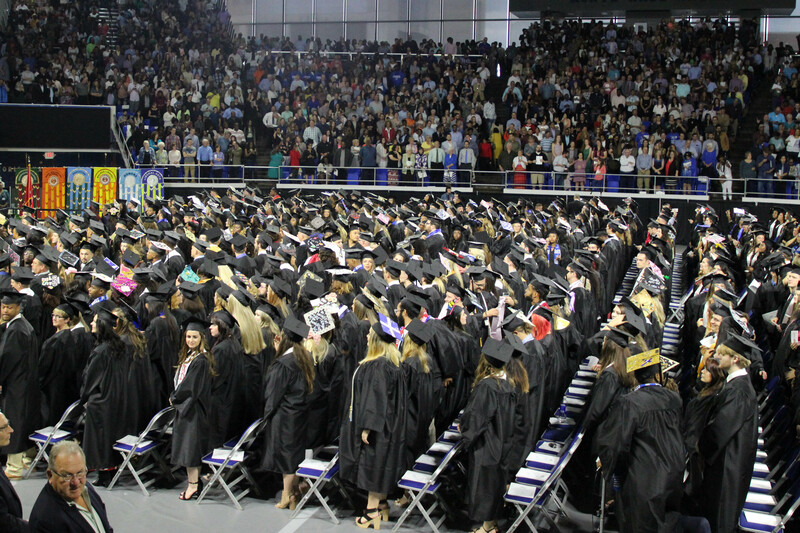 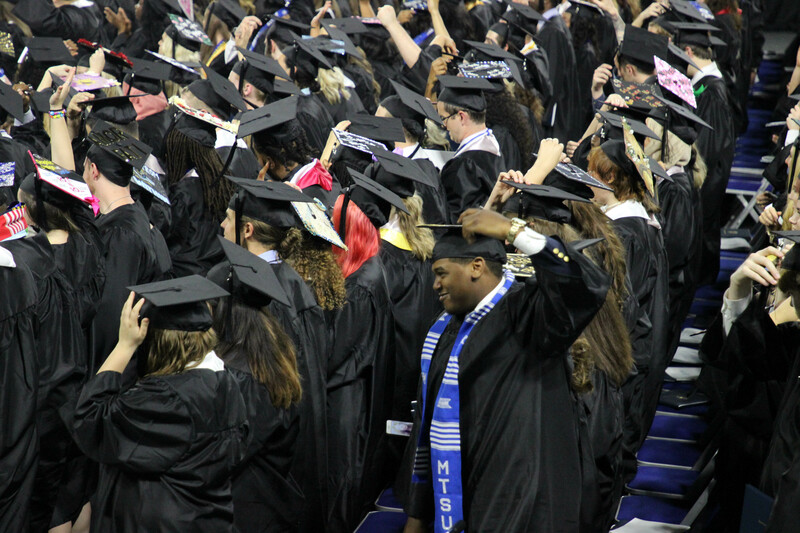 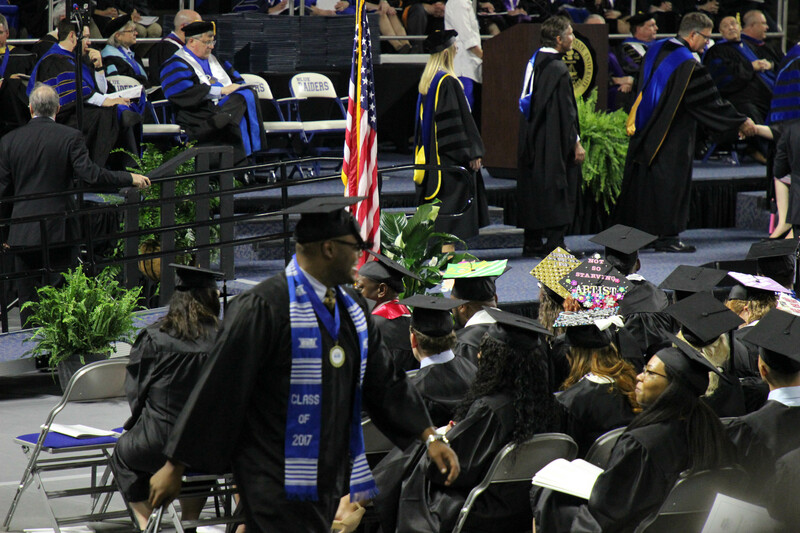 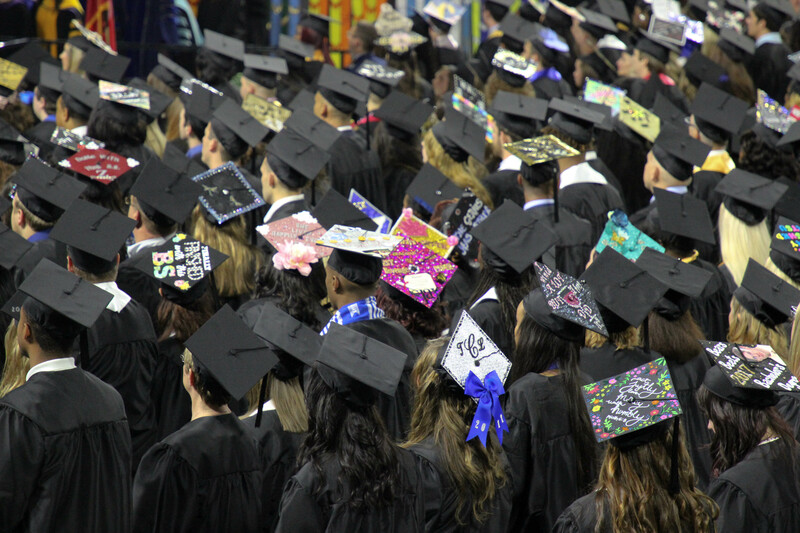 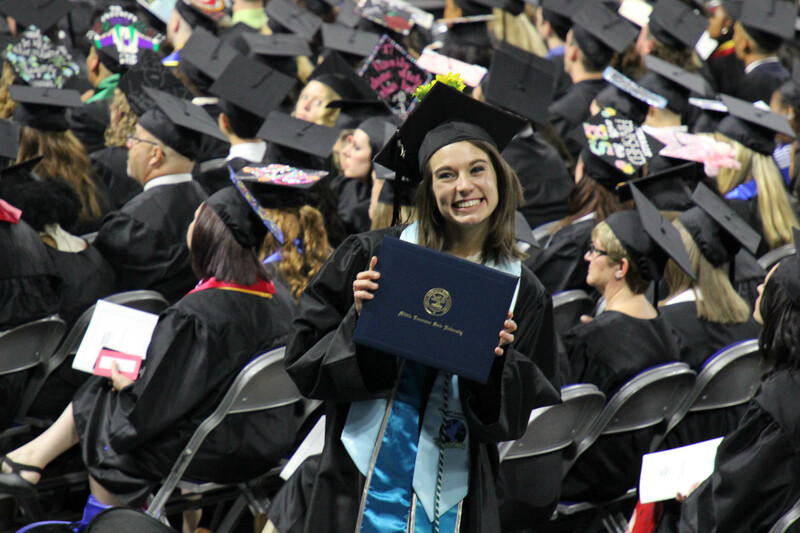 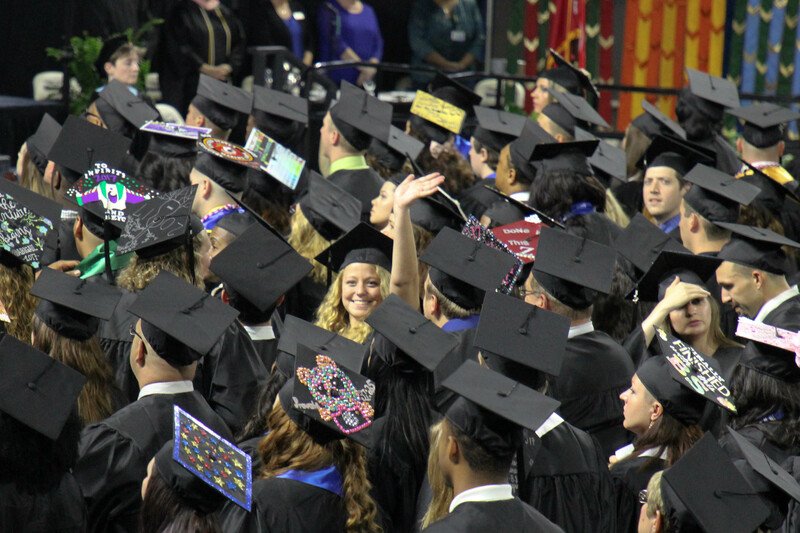 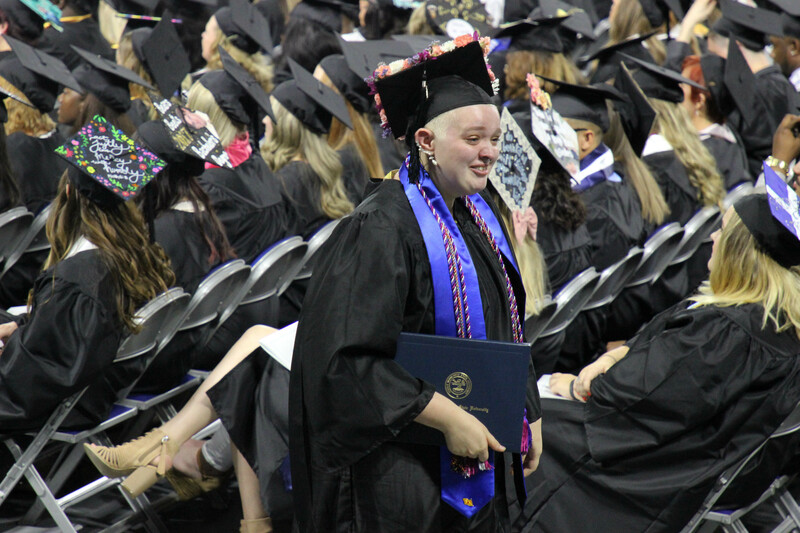 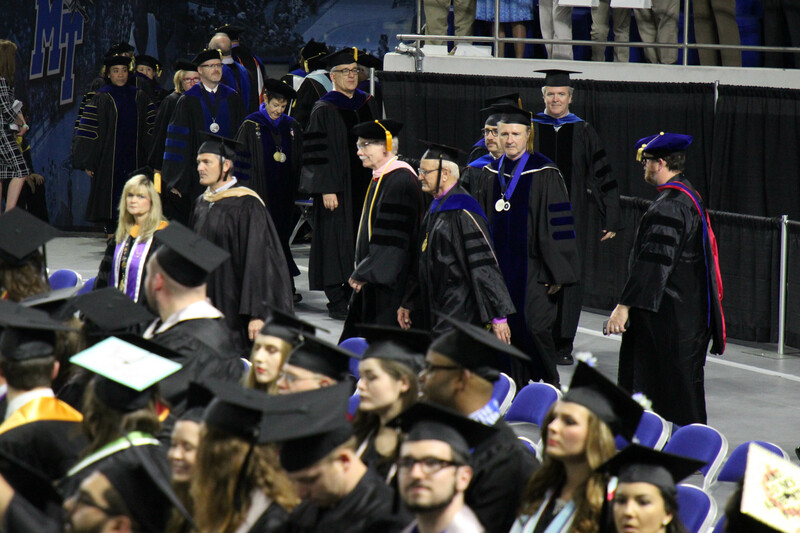 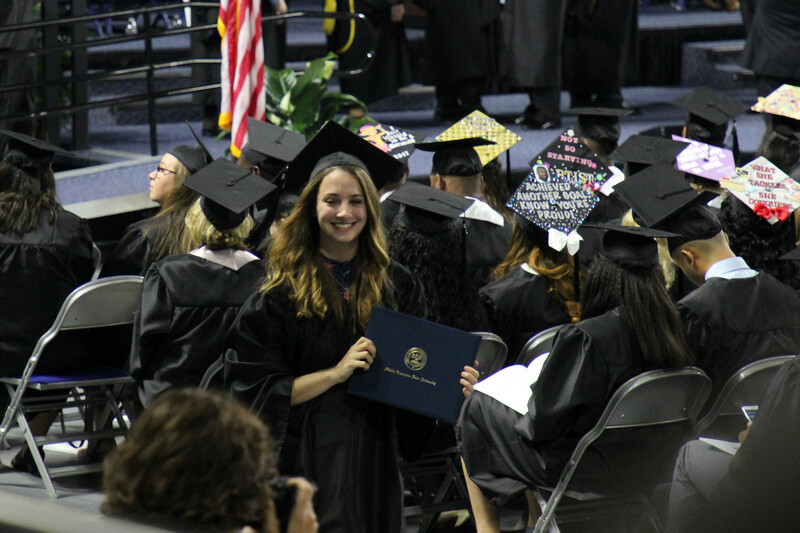 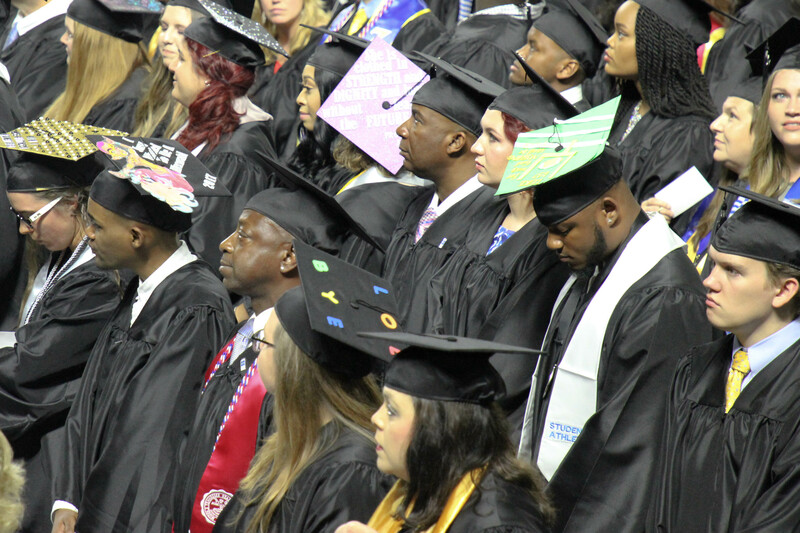 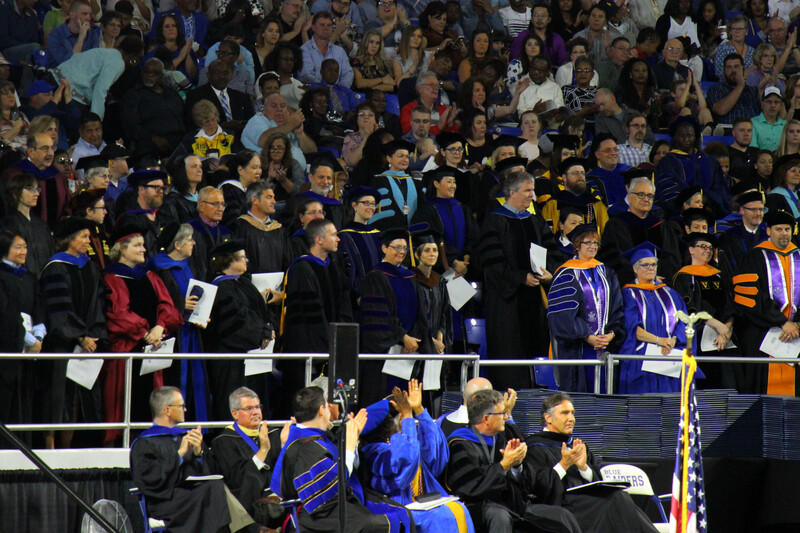 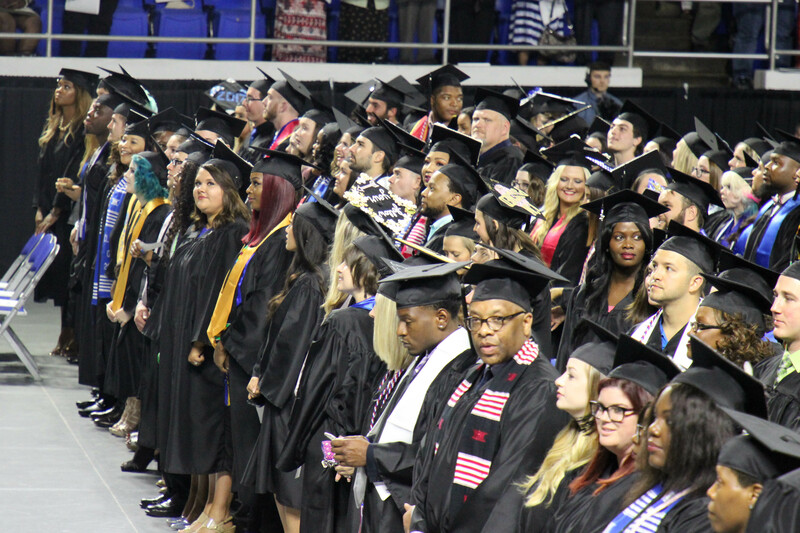 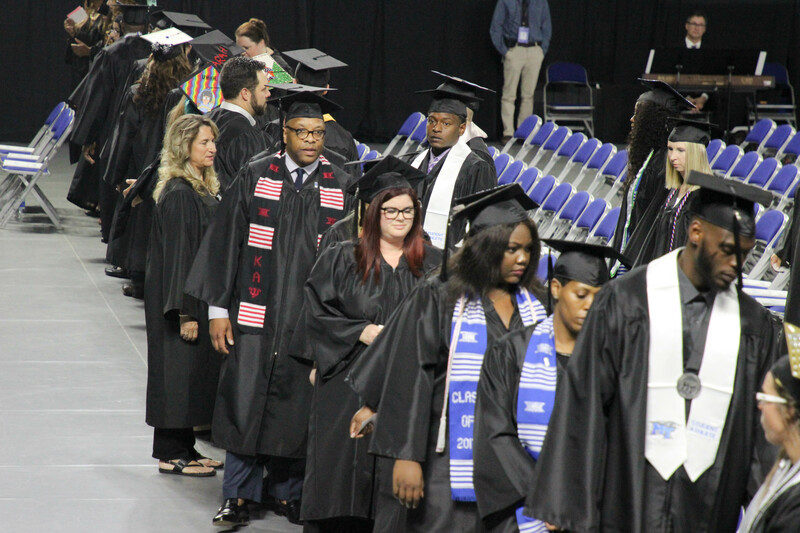 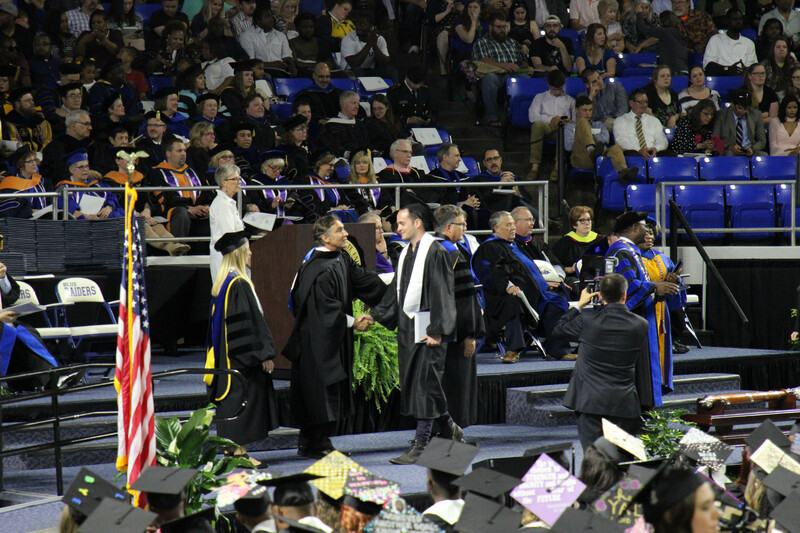 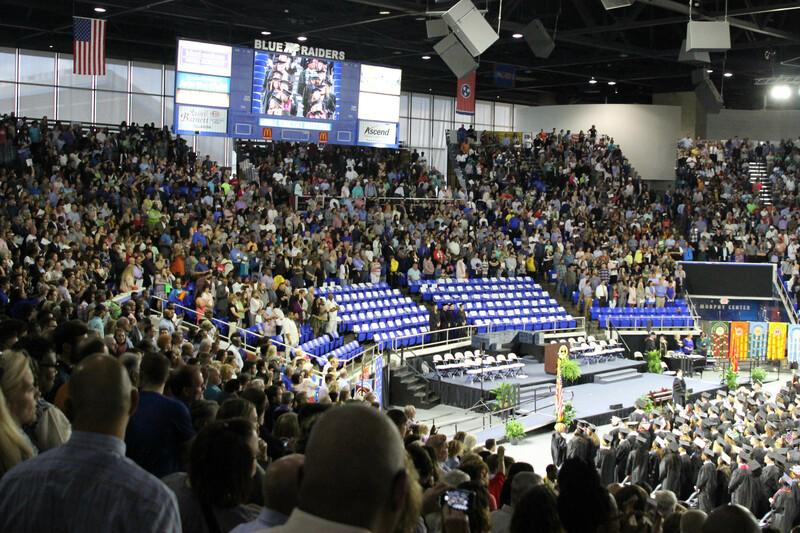 On May 5, 372 graduate students received degrees following a speech from MTSU’s Center for Organizational and Human Resource Effectiveness Director Michael Hein. 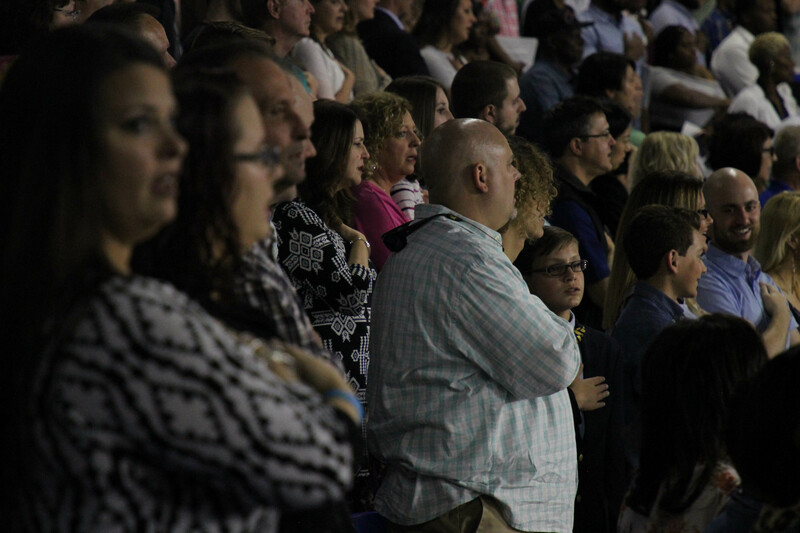 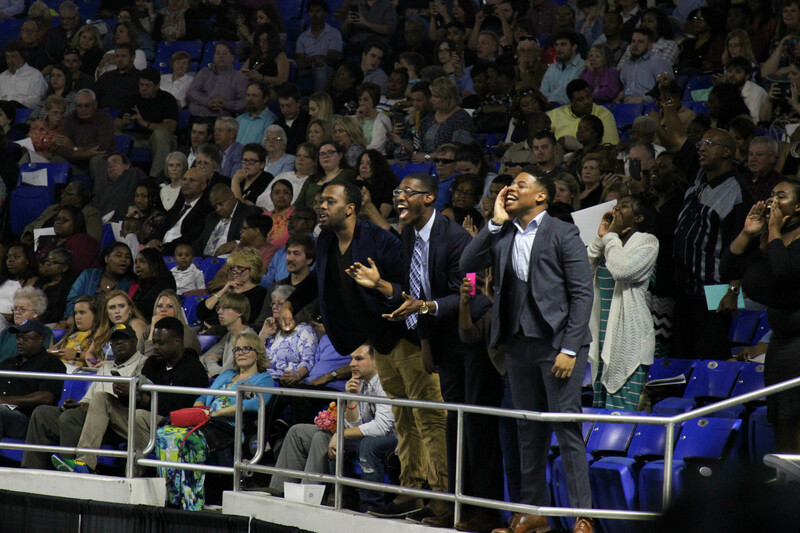 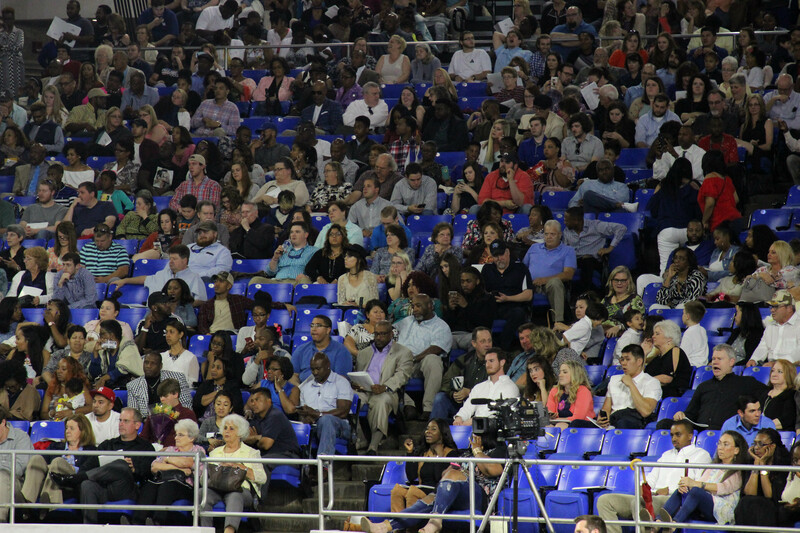 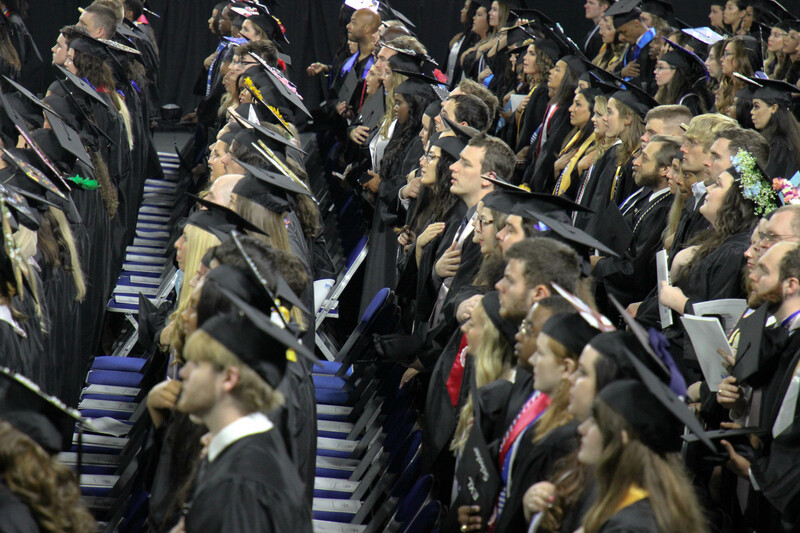 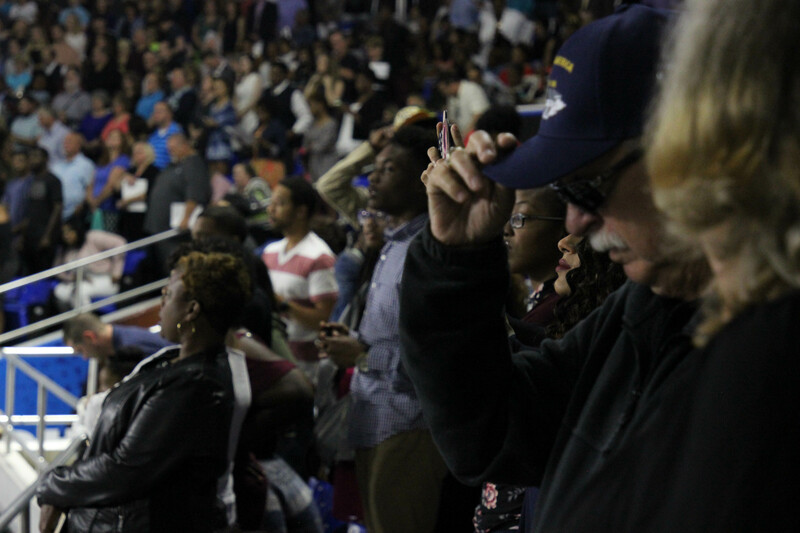 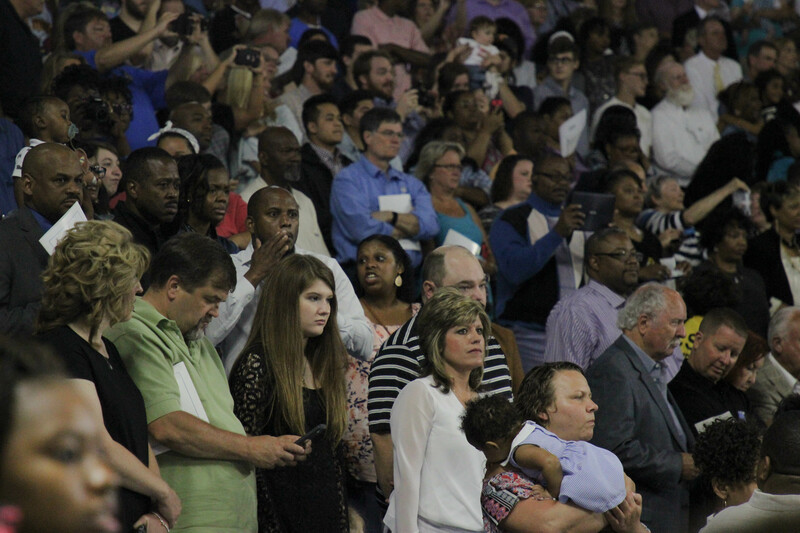 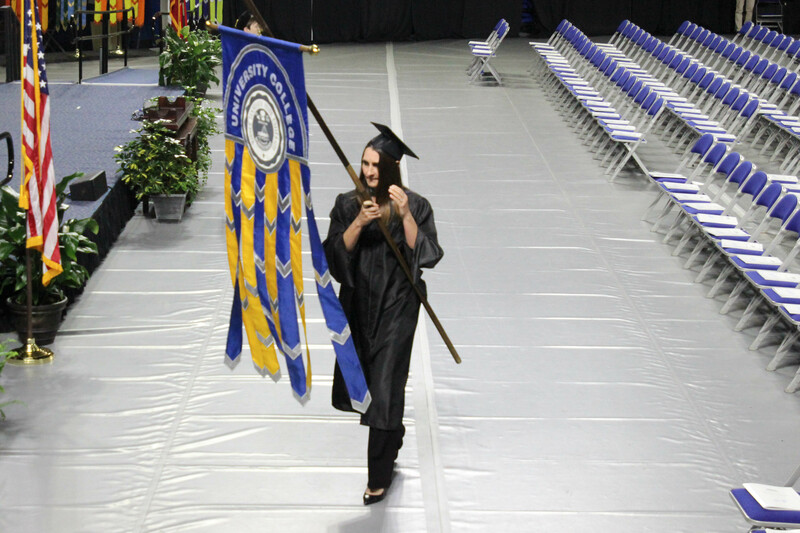 Attendees observed the national anthem at the start of the MTSU undergraduate commencement ceremony at Murphy Center on May 6. 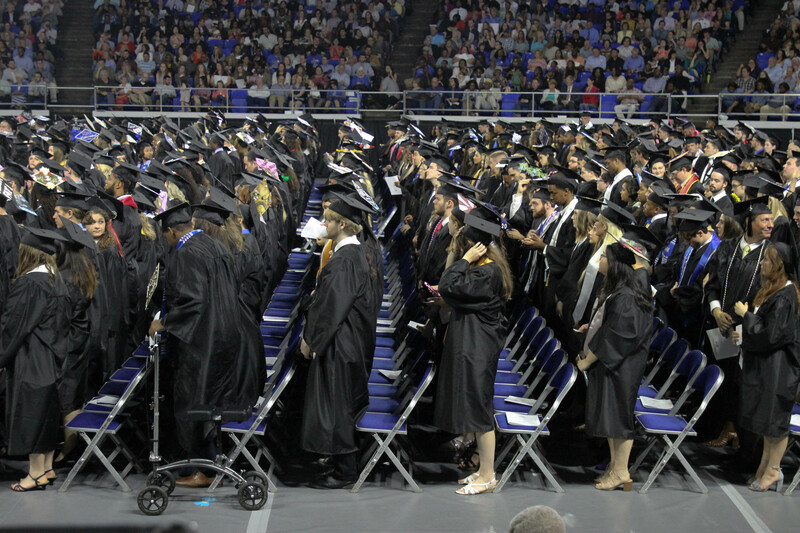 MTSU President Sidney A. McPhee gave opening remarks at the MTSU undergraduate commencement ceremony on May 6 before giving the floor to numerous speakers. 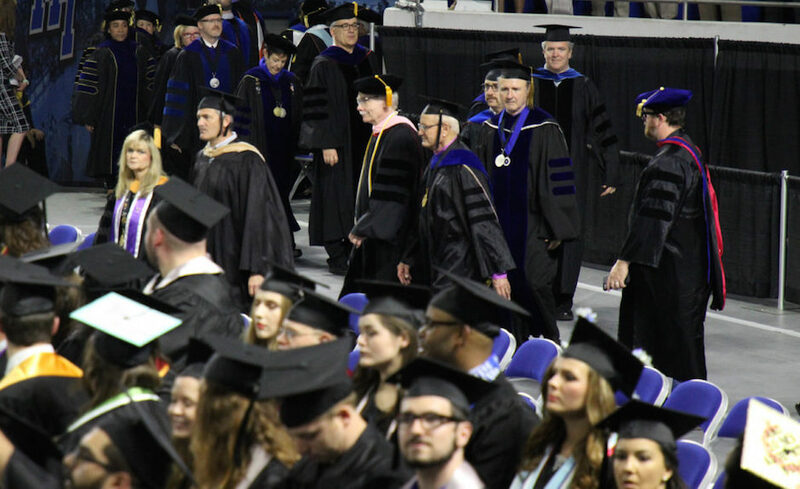 MTSU faculty attended the undergraduate commencement Saturday in the Murphy Center, representing their respective colleges. 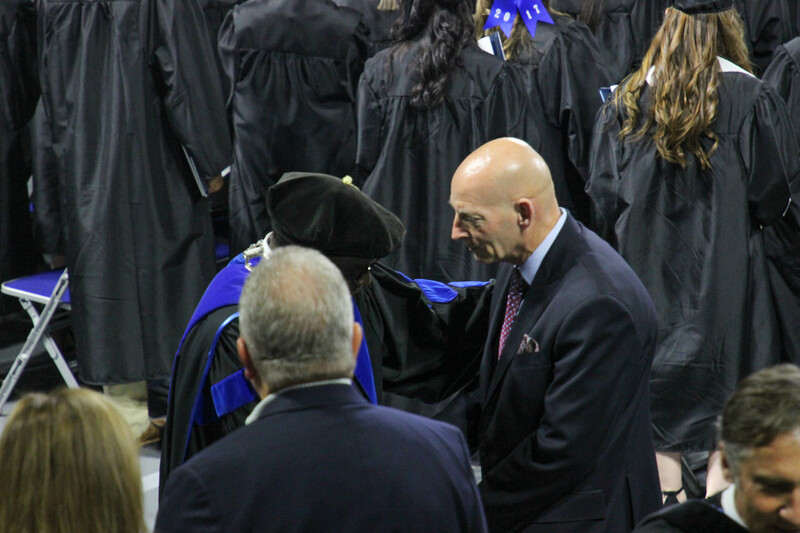 MTSU President Sidney A. McPhee speaks to retired Lt. Gen. Keith M. Huber at the undergraduate commencement, May 6. 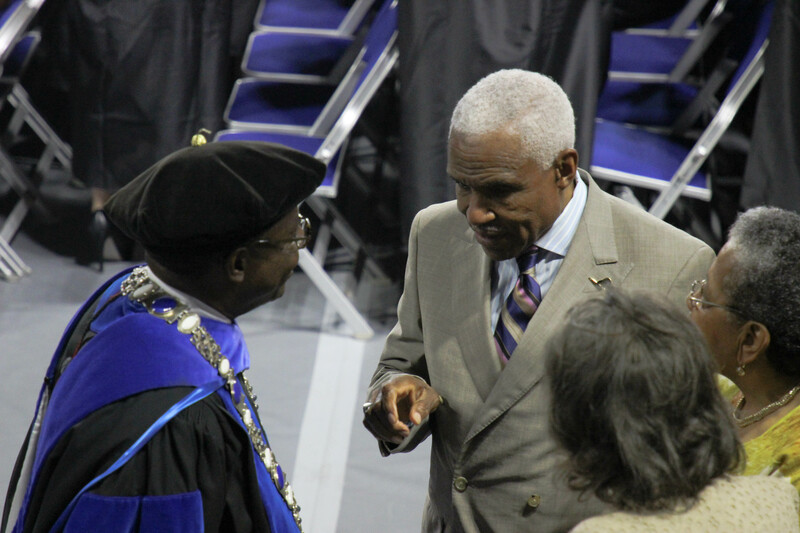 MTSU President Sidney A. McPhee invited former Memphis, Tenn. Mayor A C Wharton to the undergraduate commencement, May 6.